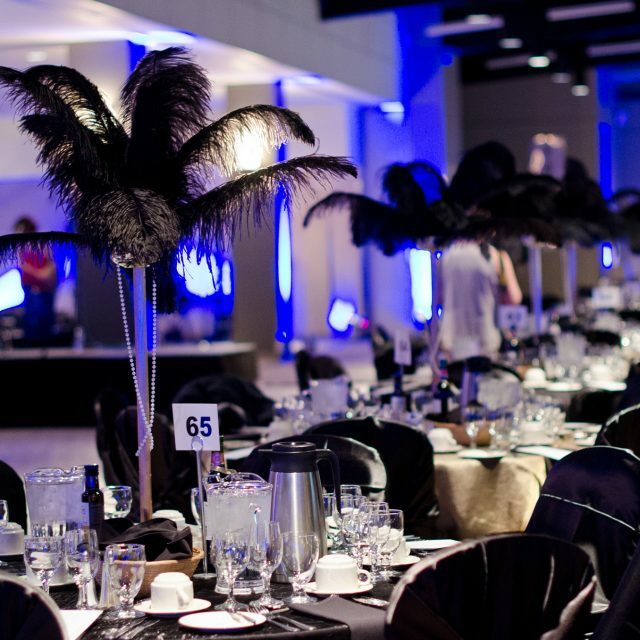 The space at the WORLD TRADE CENTER at Prairieland Park is perfect for your event – we know this because we can create any theme, feeling or look. With air walls, optional carpet, expert lighting and a multitude of room configurations we can bring your vision to life. When planning an event, every detail is important. The staff is here every step of the way and is invested in helping you create the best possible gala, reception, meeting, fundraiser or dinner. From creating an inviting atmosphere, to preparing and serving culinary delights, to integrating high-tech systems, we’ve got it all – and it’s at your fingertips. See our gallery of room options below or check our most current Food & Beverage Menu (PDF). When you are ready to book the space, our dedicated event specialists from the Rentals Department would be happy to discuss all the details of your specific event needs. Contact them today at rentals@prairielandpark.com or 306.931.7149 for availability, services and pricing.